Ho Ho Ho! Holiday season seems coming a little earlier this year, so is our Chinese New Year Festival ! The big day is set on January 31. Event planning is undergoing, and your involvement is very important !! 1) Chinese Drum Team 腰鼓队 is recruiting! No experience required. Anyone, boys and girls, parents and grandparents, can learn in a couple of training. Don't miss out the fun! High school students can get community service credit while enjoying the experience! see attached photo. 1st practice starts on 11/22, noon - 1:30 pm. Please contact the team leader Ms. Yanping Zhang at yzmail@gmail.com. 2) Dragon Team 舞龙队 is recruiting too! No experience required. High school boys and Dads preferred. It is a unique experience you won't find anywhere else in town! Join us today !! Same as the drum team, High school students can get community service credit while enjoying the experience! see attached photo. Please contact team leader Ms. Angie Bi at angieweibi@gmail.com. 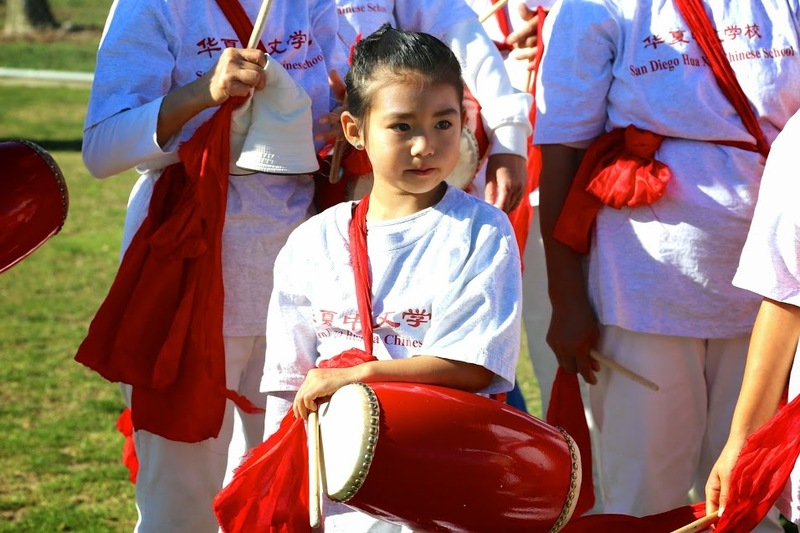 Both our Chinese Drum Team and Dragon Team are the only kind in San Diego! We are very proud of the teams' previous performance!! 3) Stage performances are very welcome and encouraged. Our students are among the most talented bunch, almost everyone has one or more extra curriculum activity. You should show off, and we want to see ! Class can have group or single performances. 4) Have questions about FAFSA for college? PTA invites you to a seminar which offers valuable tips. Date 11/22, 9:15 - 11:15 am, at PTA room F-209. See flier for details. 5) Qi Kung 健身气功. New addition to parent activity! PTA invited the Uncle Sam (Yes, The!) to lead the practice. Uncle Sam will also share his secrets of keeping fit. Don't wait for next time! Starting this Sunday, 11/15, 9:30 am, at the covered parking lot from Black Mountain entrance.Seeflier for details. 6) Winter is approaching, daylight recedes earlier. Afternoon class Parents please pick up your students on time, especially those of Credit classes. Thank you, and I shall see you all on Sunday!